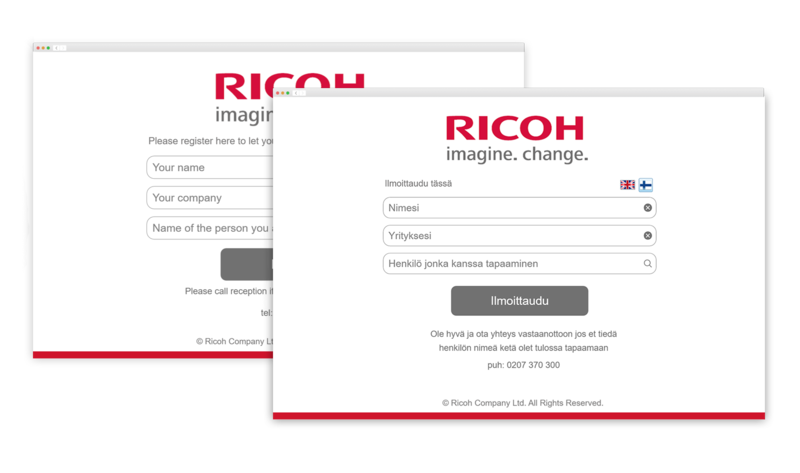 Ricoh approached us with an idea for a digital service helping customers quickly register their arrival, inform host of the arrival while giving an easy way for companies to keep a visitor log. Majority of business parks and large offices have a check-in desk for people to inform about their arrival. There is a tendency that all people come at same time generating unnecessary hassle at the lobby. 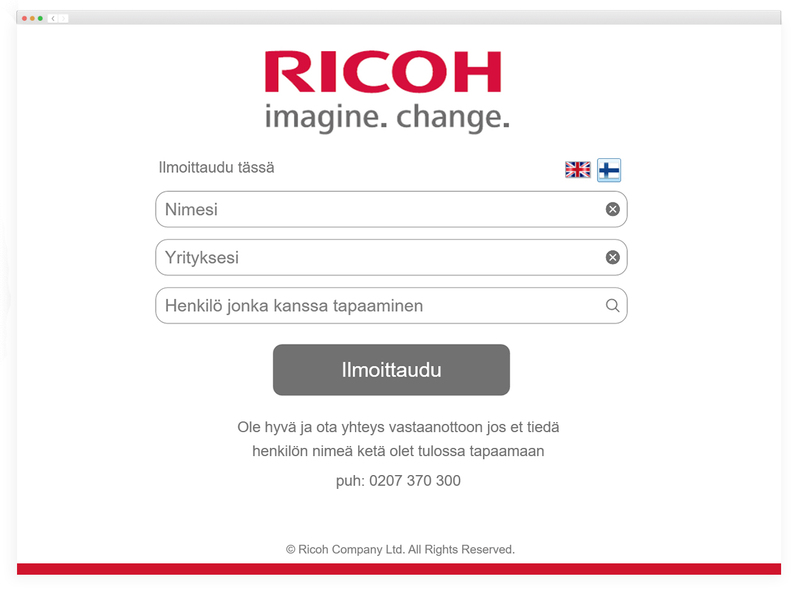 For this, Ricoh wanted to build a digital solution to ease off the process. Ricoh had created an InfoKiosk concept that consists of a large touchscreen and a PC where the visitor registration service was to be developed on. We wanted to take a KISS (Keep it Simple, Stupid) approach to the usability of the service and design as simple of an UI as we ever could.